NAC For Hangover Relief: Does N-Acetylcysteine Help With Veisalgia? NAC Hangover Cure: Does N-Acetylcysteine Work? 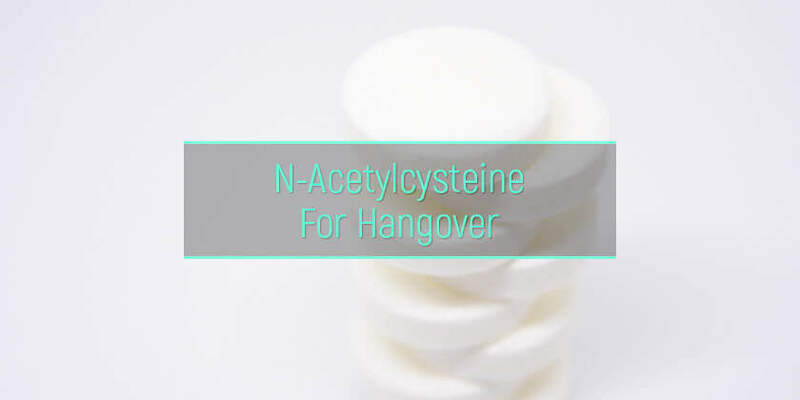 N-acetylcysteine, or NAC for short, is a dietary supplement that is used to reduce hangover symptoms. It is a derivative of L-cysteine, a naturally occurring amino acid. According to WebMD NAC is an antioxidant that binds to acetaldehyde, a toxic byproduct of alcohol metabolism and one of the main hangover causes. In fact, acetaldehyde is the culprit behind many of the most dreaded symptoms following excessive drinking. By bringing down elevated levels of acetaldehyde, the supplement reduces the general misery a person experiences following alcohol ingestion. NAC alcohol is a safe, inexpensive, and effective way to lessen unpleasant symptoms after alcohol intake. How does N-acetylcysteine hangover cure work and what are the possible side effects? Let’s find out more about taking NAC for hangovers. How does NAC affect hangover symptoms? What is the best way to take N-Acetylcysteine? Does NAC help if symptoms have already set in? What are the disadvantages of using N-Acetylcysteine? What are the benefits of NAC supplement? What are the natural sources of N-Acetylcysteine? How Does NAC Cure A Hangover? The supplement NAC is an effective preventive measure for hangovers. N-acetylcysteine and alcohol metabolism are closely connected. The supplement increases the production of glutathione in the body. Glutathione is needed to break down acetaldehyde, a toxic substance that is produced when ethanol is broken down by the liver. Acetaldehyde is responsible for liver damage and many of the worst symptoms following alcohol consumption. People with a hangover have all kinds of questions on their mind. What’s good to drink for a hangover? Are there foods that help with the uneasiness, and if so, what’s good to eat when you have a hangover? Does NAC supplement work for alcohol withdrawal? The best thing for a hangover would, therefore, be something that gets rid of acetaldehyde. NAC does this by increasing glutathione levels in the body. This supplement has strong antioxidant and anti-inflammatory properties. It can decrease alcohol-induced free radical damage. In fact, N-acetylcysteine is used for medical treatment of acetaminophen (Tylenol) poisoning because of its protective effect on the liver. The use of this supplement is a healthier option than the hair of the dog technique. What is the best way to get over a hangover? The most effective way to take NAC hangover supplement is about half an hour before drinking alcohol. Taking NAC alcohol in advance assists in glutathione production, which in turn helps get rid of toxic acetaldehyde. This reduces the negative effects of ethanol and lessens hangover symptoms the following day. Because N-acetylcysteine is an amino acid supplement, it should be taken away from food, i.e., 30 minutes before or 2 hours after a meal. This prevents competition for absorption between NAC and the proteins ingested with food. The recommended NAC supplement hangover dose is 600 mg for every three drinks consumed. At least a 200-mg dose is required to lessen the toxic effects of alcohol. Does NAC Help If Hangover Is Already Present? The best way to prevent symptoms the next day is, of course, to drink sensibly. But if someone gets caught up in celebrations and has a few more than they normally do, it’s very likely they will wake up with symptoms such as thirst, fatigue, nausea, headache, dizziness, and shakiness. What is a good hangover cure at home? Can NAC for alcohol help with these symptoms? The supplement works best if it is taken before alcohol ingestion. The use of NAC for hangover can be dangerous if it is taken after alcohol consumption. This is because, following a night of drinking, the body goes into overdrive and produces more glutamine than required. If the supplement is taken during this natural glutamine rebound, the excessive levels in the body can cause symptoms such as poor sleep, anxiety, tremors, restlessness, and high blood pressure. Although the unpleasant sulfuric smell of the supplement makes it unpalatable for many people, NAC supplement is believed to be safe in the majority of adults. The most common side effects are nausea, vomiting, diarrhea, fatigue, and skin rash. Rarely, it may cause headache, fever, drowsiness, and complications such as liver problems and low blood pressure. According to NAC WebMD information, pregnant and breastfeeding women should use this substance only if needed, for example, in the case of Tylenol poisoning. The supplement crosses the placenta, and the baby is exposed to it. Although there is no evidence of harm to the mother or developing baby, there is a lack of reliable research to confirm its safe use in expectant and new mothers. In addition to NAC liver alcohol effects, it may cause complications such as bronchospasm (narrowing of the airways) in individuals with asthma. It can also lead to an increased risk of bleeding and bruising following surgery and in people with bleeding disorders. The use of NAC is contraindicated in combination with nitroglycerin (a medication commonly used to treat anginal chest pain) because it can lead to a dangerous dilatation of blood vessels and side effects such as dizziness and headache. 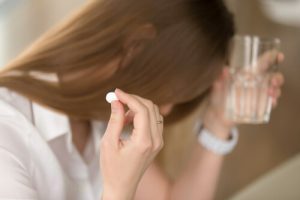 In addition to the side effects and risks mentioned above, the efficacy of N-acetylcysteine in alleviating hangover symptoms was found to be questionable by a study conducted in Pennsylvania. Results showed that symptom severity was similar for participants who received the supplement and those who received a placebo. Worse still, a substantially larger percentage of supplement users experienced adverse effects compared to the placebo group. Some people compare the effects of NAC to kombucha hangover cure. But, unlike kombucha, there is a scientific basis to how the cysteine derivative works. When alcohol is introduced into the body, it is broken down into acetaldehyde, a byproduct that is more toxic than alcohol itself. Acetaldehyde is attacked by an antioxidant called glutathione. Drinking alcohol causes the stores of glutathione in the liver to quickly get depleted. N-acetylcysteine and alcohol are linked because the supplement is a precursor of glutathione and is indispensable in replenishing this powerful antioxidant in the body. NAC prevents a hangover by quickly getting rid of acetaldehyde which is responsible for acute symptoms such as headache, nausea, and fatigue. N-acetylcysteine is a precursor to L-cysteine, an amino acid that can be produced in the body but may need to be supplemented through dietary intake. Good sources of NAC supplement hangover treatment include protein-rich foods such as chicken and turkey as well as dairy products like cheese, yogurt, and eggs. For vegetarians, legumes, sunflower seeds, and vegetables such as red pepper, broccoli, onion are good dietary sources of this substance. Other foods that can serve as a natural source are bananas, soybean, and wheat germ. NAC: To Use or Not to Use? Over-the-counter NAC for alcohol is an effective pre-drink supplement that helps in the formation of antioxidants. It prevents free radical damage and reduces the severity of hangover symptoms. However, since the FDA does not regulate these substances, they can have dangerous side effects and interactions when used as quick hangover cures. It is, therefore, always a good idea to consult a healthcare provider before beginning NAC hangover prevention. If a person is addicted to alcohol, the hangover treatment may not be the biggest issue. Contact the rehabilitation facility for alcohol abusers to learn more about how to help an addict. There are many options for alcoholism treatment available. AlcoRehab » Hangover Symptoms, Causes, And Side Effects » How To Cure A Hangover: Best Veisalgia Remedies » NAC Hangover Cure: Does N-Acetylcysteine Work?